• Pre-reflow & post-reflow inspection. 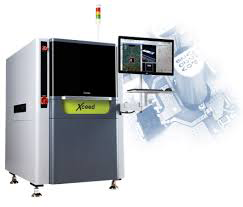 For high precision inspection: 01005/03015 and high density IC components. 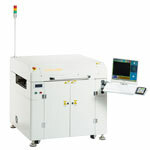 • For odd shape component inspection due to powerful inspection algorithm. • Programmable RGBW and Coaxial light source. • Automatic position compensation for the warp boards. • High accuracy linear module. • Offline programming and real-time debugging. • Algorithm to inspect wave soldering component and solder joint. • Lowest consumption of nitrogen and energy reduces operational cost considerably. • Sectioned rail transport designed to avoid warpage. • Flux filtering system reduces maintenance and cleaning costs. • Proven vacuum technology designed to prevent voids.